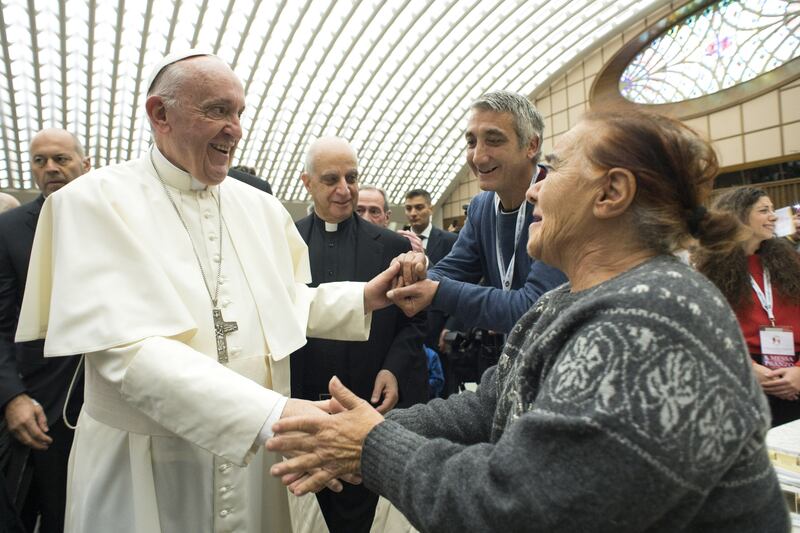 For the first “World Day of the Poor”, on November 19, 2017, Pope Francis had lunch with some 1,500 destitute people in the Paul VI Hall of the Vatican. In the morning, the Pope celebrated a Mass with them in St. Peter’s Basilica. Representatives of the poor from all over the world who served the altar, did the readings, brought forward the gifts, and were honored during the celebration. The lunch followed Mass, with tables arranged in the hall: “Welcome everyone,” the Pope said as people arrived. “Let’s get ready for this moment together. Each of us, with a heart full of goodwill and friendship towards others … and wishing us the best for each other,”he encouraged. Thousands of poor people have indeed participated in a festive lunch in Catholic canteens, seminaries and colleges of the Eternal City.